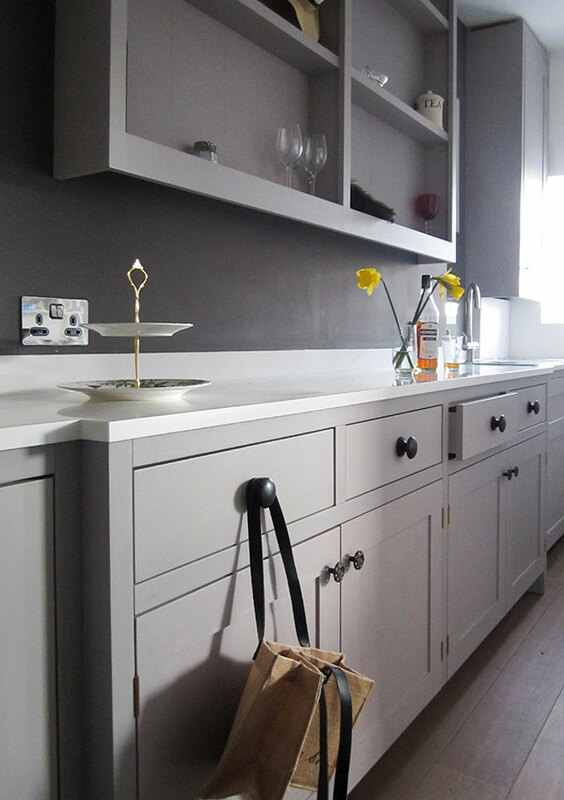 A traditional hand painted kitchen was chosen by Sally for her long galley kitchen. 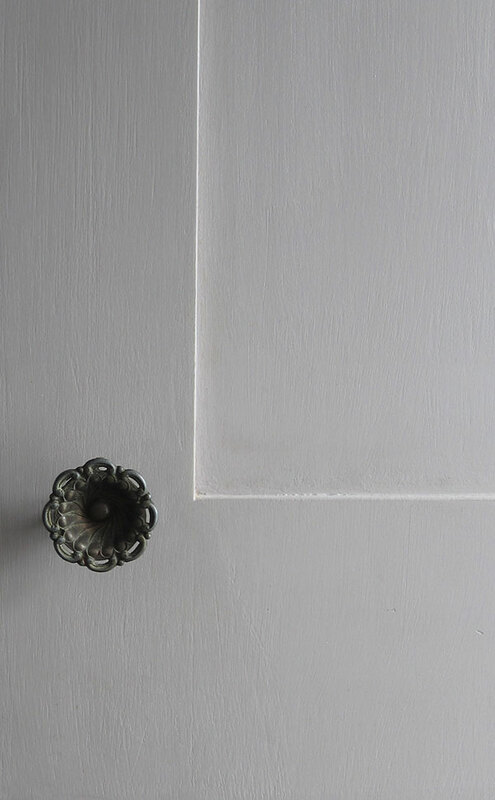 We break-fronted the centre section over the breast to add extra depth and detail. 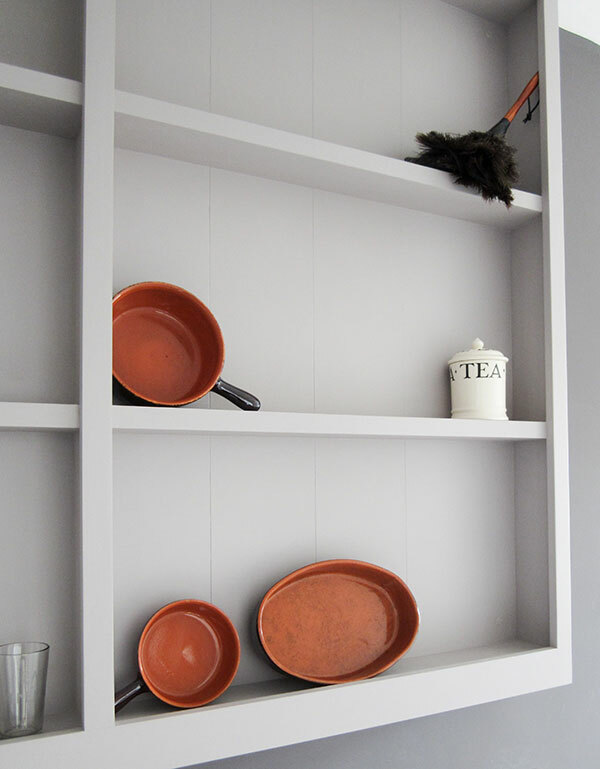 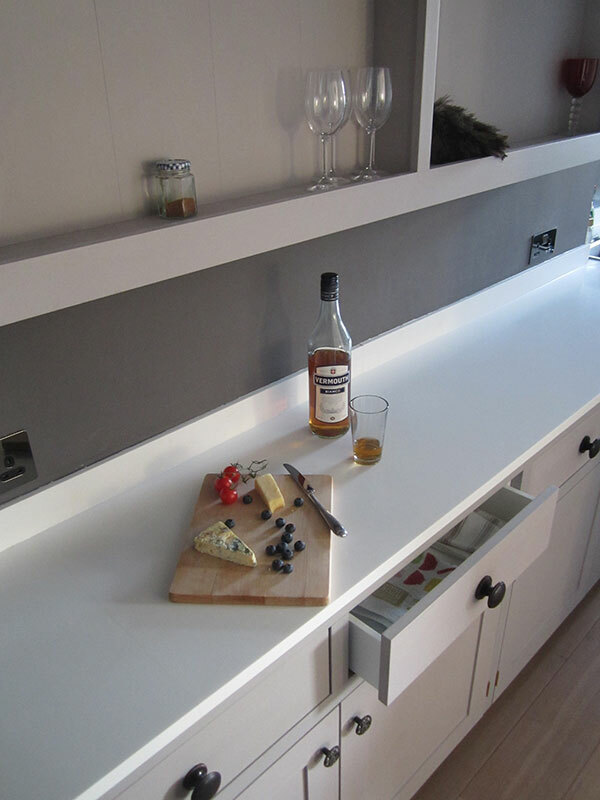 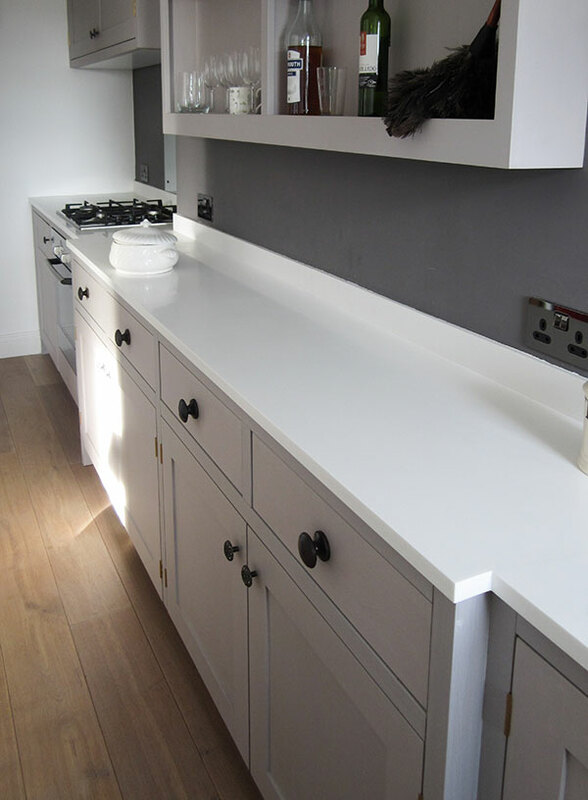 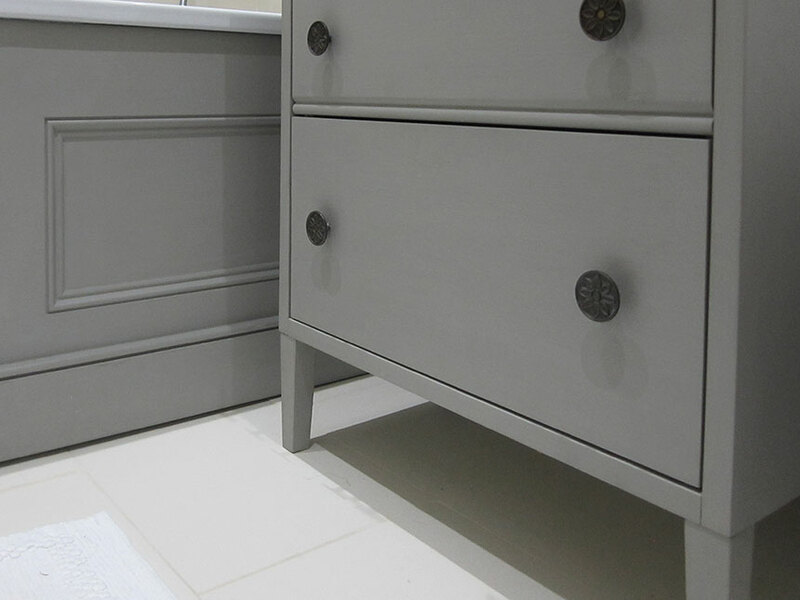 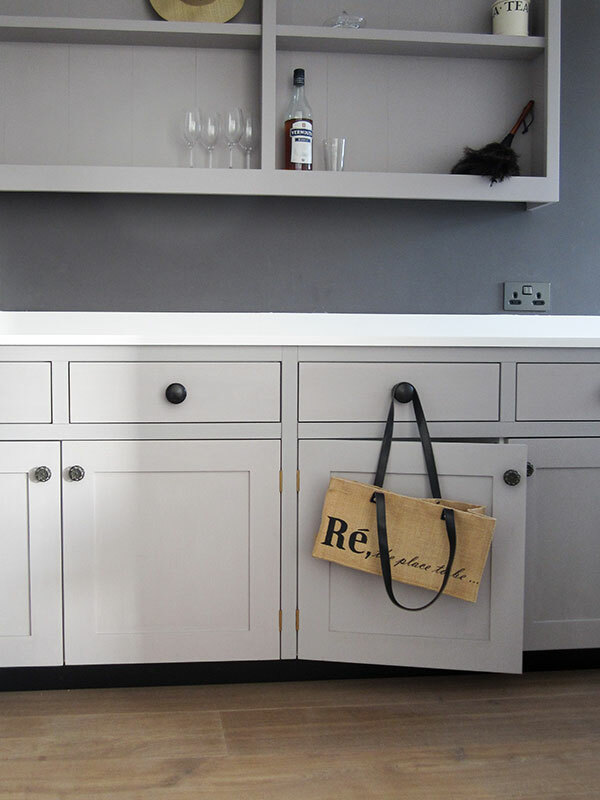 We also used lovely vintage handles and a Corian top.